On the 2nd October our young photographers group are looking for models of any age, shape and size to take part in a photo shoot at Wellcome Collection. You will take part in several interactive workshop activities and then our budding snappers will take beautiful pictures of your beautiful selves. To book a slot to be a volunteer model on the 2nd October please email Steve Byrne at steven.byrne@ytouring.org.uk, leave your details in the comments section below or call me on 02075203096. Both group and individual bookings are welcome, places are limited to do hurry and book now. 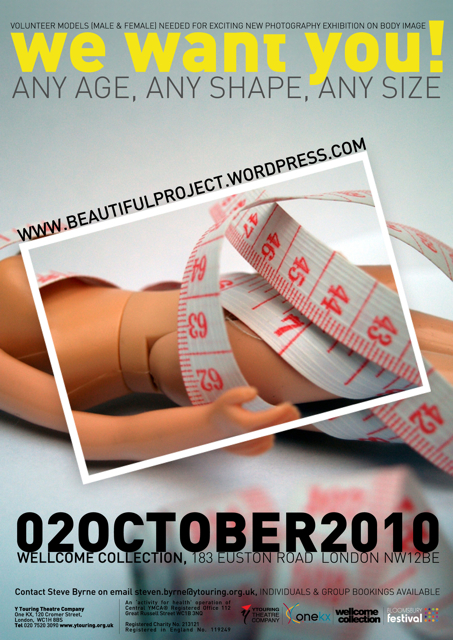 All the pictures we take will form part of an exhibition looking at body image to be displayed in the public places around Bloomsbury as part of the Bloomsbury Festival (23rd/24th October), with a montage of all the photographs taken at Wellcome Collection.